Gorton & Scmhohl Orthodontics are a cutting edge orthodontic practice in Marin County, California USA. 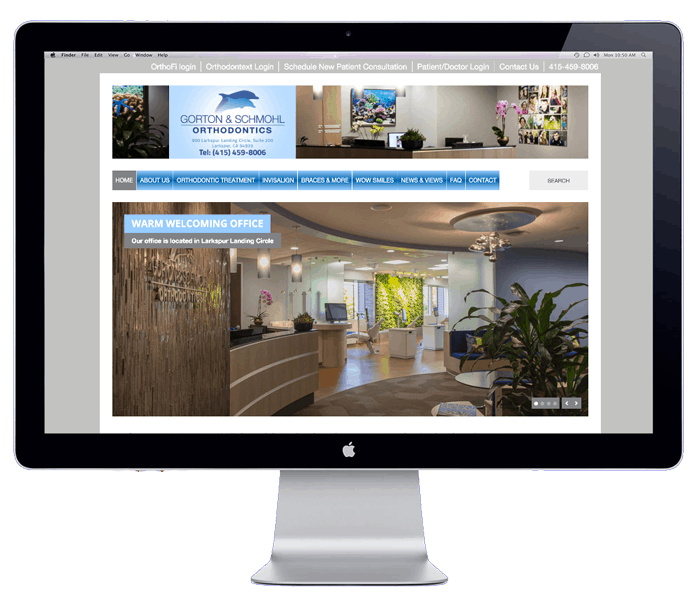 After moving to a new purpose built office in the Larkspur Landing Circle, Gorton & Scmhohl Orthodontics wanted a new website to reflect their pioneering business. 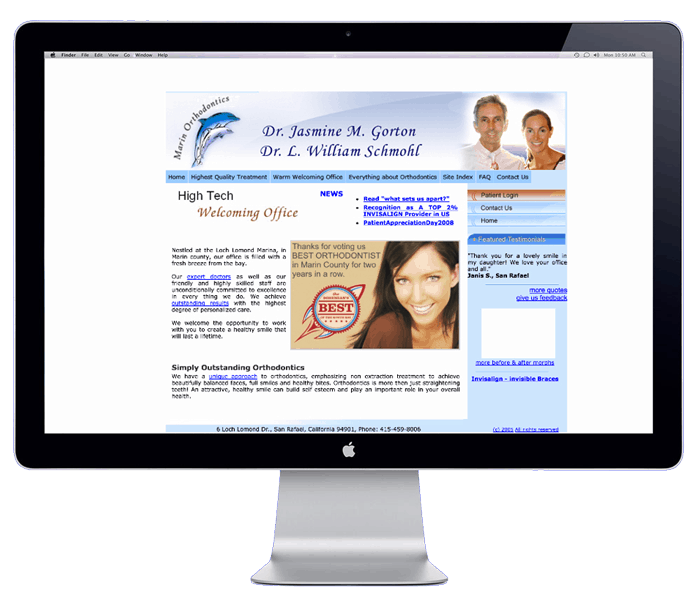 A new site was built to be clean, easy to navigate, convert visitors and to exemplify the doctor high technical expertise.